Susan Turley and I are considering expanding the scope of incorporating grit and growth through the use of this book by Malcolm Gladwell. EVALUATE: Was this mode of presentation effective? What were the benefits of this mode of information delivery? What were the deficits? PERSONAL RESPONSE: How did you connect to the author’s intended message? Give an example to support your answer. At the end of class, we discussed which source was most effective overall and shared out the personal responses and connections to the content. Students identified Duckworth’s delivery and tone as a strength and found her to be most engaging. However, they also identified the importance of multiple examples from The New York Times article and they use of a visual cue from the video. Ultimately, they felt as though all of these sources would be best combined into a multimedia presentation. In regards to content, a majority of students found the content to be personally relevant. While many admitted they are “not there yet” in regards to grit, they found the information to be aspirational. 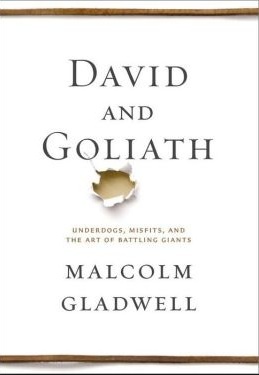 Turley and I plan on continuing this work into next year, perhaps expanding it to include the importance of defining one’s passion when establishing “grit.” In addition, we are both going to read the Malcolm Gladwell book David and Goliath: Underdogs, Misfits and Battling Giants as a potential text to use with students to support these ideas further next year.